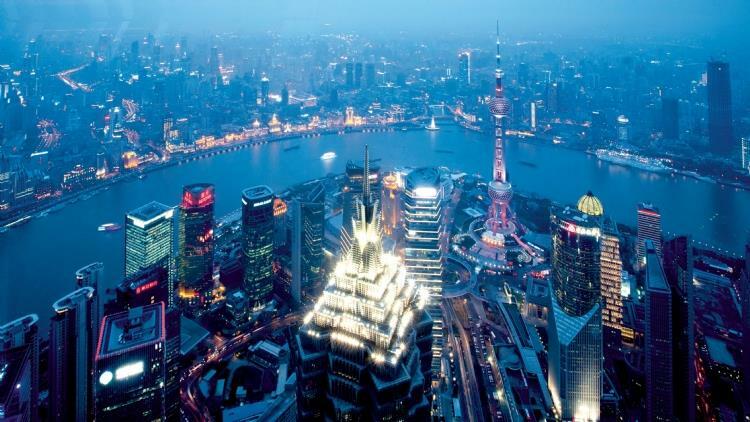 Shanghai might not be the city that never sleeps, but it's not far off. In fact, what makes it such a great city is that you can pretty much get what you want, when you want it. Feel like pizza at 4am? You got it. Want to go dancing until 10am? No problem. Chasing some spa time in the small hours? Done. 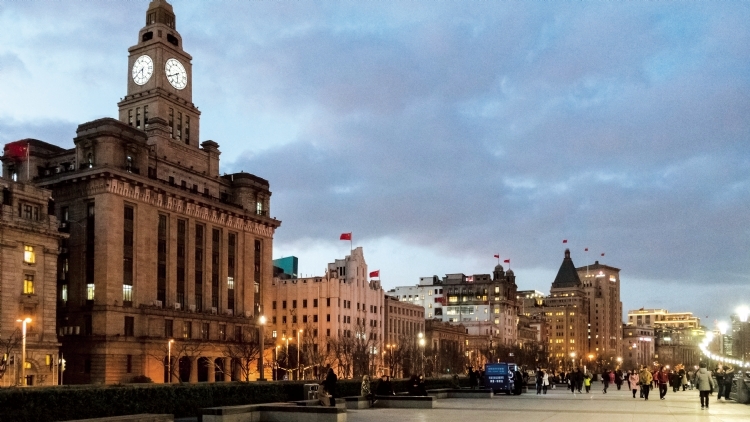 Whether you feel like partying, eating, drinking or playing, here are Shanghai's best late night and 24 hour activities. Cavernous underground dive C’s is the sort of place where you lose all sense of time and reality – you’ll be punch drunk and it’ll be 5am before you know it. The vibe here is right on the mark thanks to an eclectic soundtrack that ranges from drum ‘n’ bass to ’90s Britpop and a varied selection of reasonably priced drinks – go for the signature mojito (30RMB). Basement, 685 Dingxi Lu, near Fahuazhen Lu. If you want to party like you’re still at uni, join the young and the young-at-heart at Shanghai institution Perry’s. 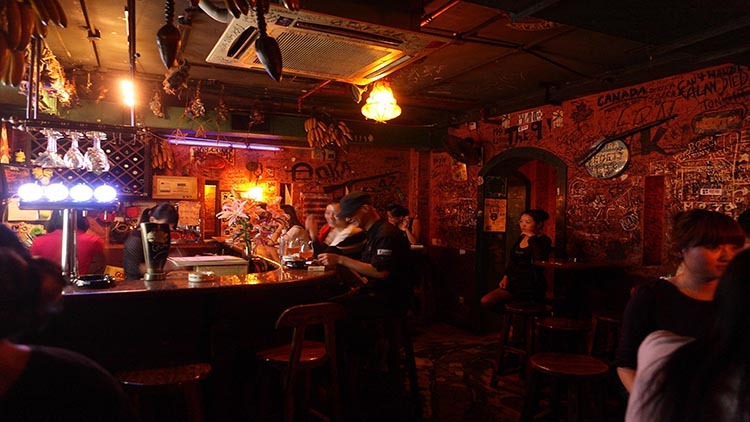 There are now five Perry’s venues littered across town, and the flagship on Huaihai Lu is a pretty safe bet for a jumping party with alco-buckets aplenty. Cheap drinks, cheesy music and a guaranteed hangover. 1333 Huaihai Lu, near Baoqing Lu. If you’re still moving through the small hours and really feeling it, there’s really only one place to go, and that’s techno-head haven Celia. It’s not an experience for the faint of heart, and like most after-party spots it can be a bit of a state. But the music is good and the people come in droves to dance beyond breakfast time. 298 Xingfu Lu, near Pingwu Lu. 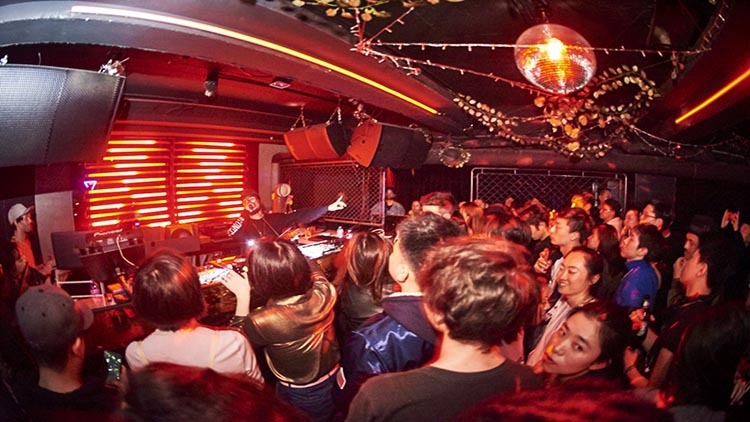 Elevator is Shanghai’s go-to club for house music lovers. As well as regular big name international bookings, the club stands out for its warm and friendly atmosphere, making it a favourite spot for those who just want to dance. Combine it with ping pong tables, ‘spiked juices’ and a good sound system and it’s no wonder we end up here till many a weekend morning. Fourth floor, 218 Xinle Lu, near Fumin Lu. Westward house of hedonism The Mansion is its own little world with parties going on until silly o’clock. It’s also a hostel where you can stay for free and help with chores such as bartending and promotion to earn your keep. In the summer they fill up the swimming pool out front and host some proper pool parties. Whatever the hour, you’re likely to find a good time here. 851 Hongjing Lu, near Hongqiao Lu. This club on Yueyang Lu has had something of an identity crisis of late, over recent years calling itself Hollywood, Lola and now Hollywood again. It’s early days for the latest iteration, but the late-night parties Lola was famous for will continue, albeit with a more commercial house and hip-hop-leaning soundtrack. 46 Yueyang Lu, near Dongping Lu. Down the road from beloved late-night dive C’s (and new-on-the-scene Smash) is a branch of Shanghainese chain Healthy Night Market. A favourite amongst Shanghai’s early morning and late-night crowds, Healthy Night Market – although arguably a bit of a misnomer – is buzzing all hours of the day thanks to its dirt-cheap, fresh-from-the-fry youtiao (only available 6pm-10am), steaming bowls of hongshaorou noodles, scallion oil noodles, wontons and more. Whether you’re chasing hearty breakfast fare or something to soak up all that alcohol, you won’t go wrong here. 713 Dingxi Lu, near Fahuazhen Lu. For a taste of the royal treatment, try Sichuan-style hotpot chain Hai Di Lao. Not only is it the place where you get your nails manicured and shoes shined while you wait for a table (which you will do); nor is it only the place where noodles are served with a kung fu dance show; it’s also where you can get actually great hotpot (and even better service) no matter what time of day or night you stumble in. 1068 Beijing Xi Lu, near Jiangning Lu. Sucker for a bargain? Hold out until 10pm to make the most of some of the city’s sweetest deals. D.O.C Gastronomia Italiana's late night menu (10pm-1am, Thu-Sat) knocks up to 85RMB off its pizzas, offering them all for 100RMB – plus Aperol spritzes and Peronis for 35RMB. For a taste of the French fancy, there’s Mr & Mrs Bund’s late-night sets (11pm-2am, Thu-Sat), with two courses for 250RMB or three courses for 300RMB, plus buy-one-get-one on certain cocktails, champagne and wine. Not bad for a restaurant which has received international accolades. Gastronomia Italian is at 5 Dongping Lu, near Yueyang Lu, Xuhui district. Mr & Mrs Bund is at Bund 18, 18 Zhongshan Dong Yi Lu, near Nanjing Dong Lu. Shanghainese diner Dong Tai Xiang’s shengjianbao (pan-fried pork or shrimp dumplings) are so good they give Yang’s a run for its money. Other menu highlights include the banmian (stirred noodles with dried shrimp and spring onion; 12RMB) and the big shrimp wontons (20RMB). It’s a comfortable place for a proper Shanghai meal whatever the hour. 188 Chongqing Bei Lu, near Dagu Lu. A no-frills but ever-reliable all-day-and-night dim sum destination, Bi Feng Tang’s long menu and great prices mean it’s pretty much always busy. And then there’s chacanting Xinwang just next door. 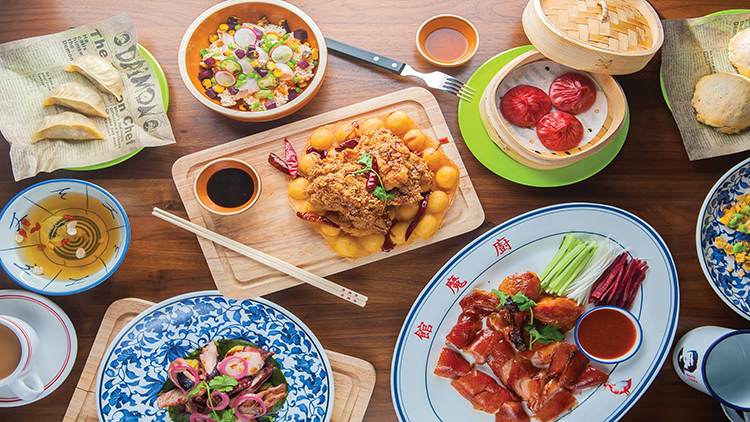 Although not open 24 hours, it serves an eclectic mix of reasonably priced Hong Kong diner staples till late – like legit pork buns, panfried turnip cake, pineapple buns, wonton soups, mango sago, sticky rice rolls, milk tea and more. From 7.30 till 11am, cash in on the 35RMB breakfast deals with Cantonese and Western options on offer. Boasting the tagline ‘Pizza anytime, anywhere’, Melrose is Shanghai’s old reliable. The team has got shops all over Shanghai, but delivery is their thing: whether in Puxi or Pudong, you can literally call 24 hours a day and get hot pies straight to your door – fast and cheap. It ain’t fancy, but this place never closes, and for that, we’re eternally grateful. Ask for the 100RMB deal, which gets you two 12-inch pizzas and two drinks. Call 400 88 PIZZA (74992) or order online at melrosepizza.com. Rasta + tacos. You’re into it already, aren’t you? Rastaco, a humble joint down a small alley off Ruijin Er Lu, slings both decked-out tacos and silky-smooth shots of Patron for just 20RMB. Best of all, the grill stays hot until 2am, with delivery available via Eleme. 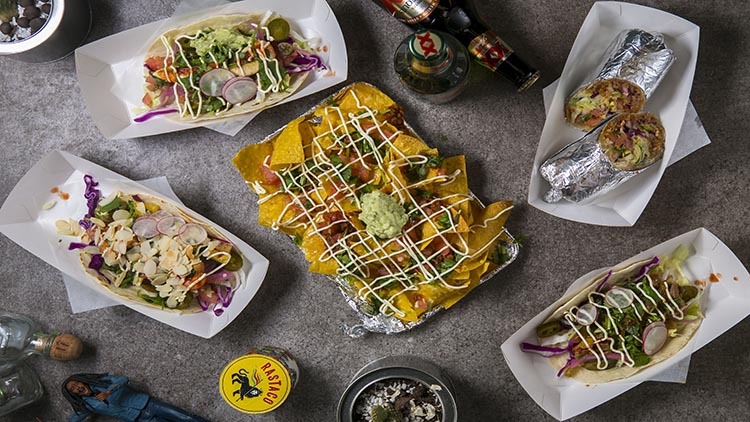 With cheap, tasty bites and a steady flow of roots reggae playing from the speakers, Rastaco’s got all the good vibes. Open and delivering 24 hours a day, seven days a week, A’Wen Yeshi Dou Jiang Youtiao is a Shanghai staple in comforting Chinese breakfast foods on the (super) cheap. Like the name suggests, get doujiang (5RMB) and youtiao (4RMB), glutinous rice balls with various fillings (try the suancai and youtiao version, 8RMB), deep-fried rice cakes (4RMB), and much more. Unlike regular street food joints, A’Wen doesn’t have that old oil taste – the food is fresher here. A reliable choice, especially when you want to satisfy those late-night munchies from the comfort of your couch. 251 Xizang Nan Lu, near Taoyuan Lu. Open day and night, night and day on the corner of Gaoan Lu and Jianguo Xi Lu, Nanjing Tangbao is one of our favourite hole-in-the-wall soup dumpling joints. Get the classic xianrou tangbao (pork soup dumplings; 10RMB), jicai tangbao (pork and Shepherd’s purse; 15RMB) or ask for the off-menu vegetarian sucai tangbao, which the chef will make fresh to order while warning that they’re ‘yi dian gui’ at a comparatively pricey 25RMB per basket. 641 Jianguo Xi Lu, near Gaoan Lu. Drawing inspiration from Hong Kong’s Kowloon Walled City – formerly home to opium dens, gambling and prostitution – raucous Cantonese and cocktail concept Daimon Bistro borders on a nightclub. The Bund-side space is decked out with neon accents, a graffiti wall and loud music on the speakers. The main attraction here though is the contemporary dim sum which, simply put, is fantastic – plus Friday through Sunday you can get it until 2am. Sixth Floor, Five on the Bund, 20 Guangdong Lu, near Zhongshan Dong Yi Lu. While a lot of Shanghai’s fancier cocktail bars start closing their doors around 2am, Shingo Gokan’s World’s 50 Best Bar award winner Speak Low and latest project Sober Society give you an extra hour of boozing on Fridays and Saturdays. Whatever your tipple, you can rest assured you’re in safe hands with this expert team of master cocktail crafters. Speak Low is at 579 Fuxing Zhong Lu, near Ruijin Er Lu. Sober Society is at 99 Yandang Lu, near Nanchang Lu. Parking up on the corner of Yueyang Lu and Dongping Lu (just outside Lawson’s), Bob’s makeshift bar-cart packs everything you need for a decent drink – served in a plastic cup. 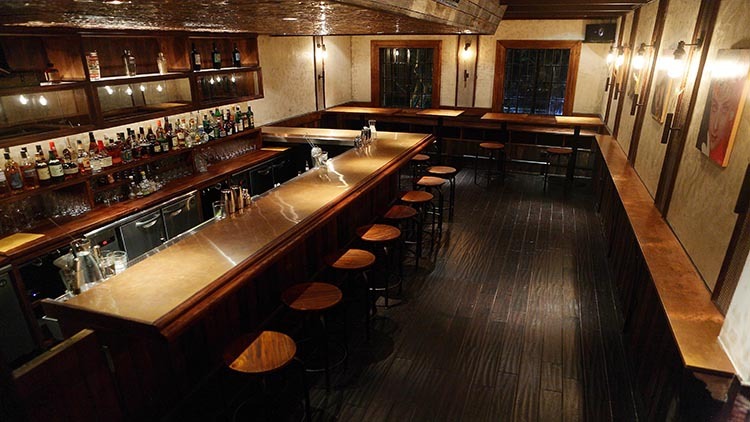 Your standard spirit and mixers start from 25RMB, with cocktails from 35RMB – including a legit Espresso Martini. Of course, with all carts, there’s no guarantee it’ll be there if the weather’s rough, but when it is chances are you can pair your visit to Bob’s with a 35RMB burger from the neighbouring cart. 12 Yueyang Lu, near Dongping Lu. 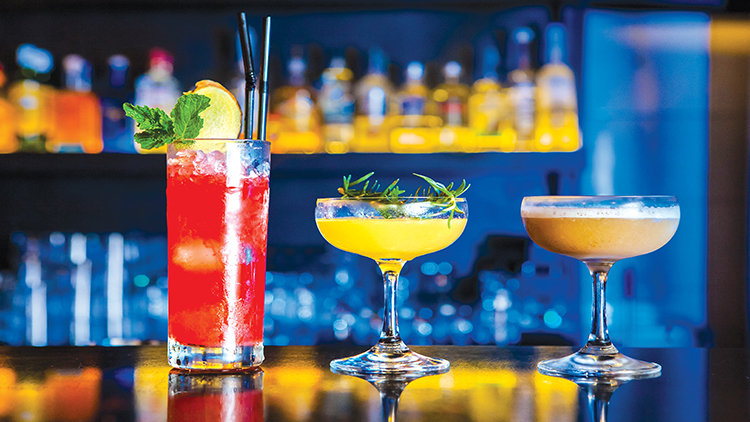 Unsurprisingly, Mexican drinking spot Pocho Social Club features a tequila-heavy menu and a lot of salt-rimmed glasses, yet somehow it remains a relatively civilised space to enjoy a drink – even late at night. If the tequila hits hard, you can order in an excellent burrito or taco from next-door taco joint La Coyota. 376 Jianguo Xi Lu, near Taiyuan Lu. 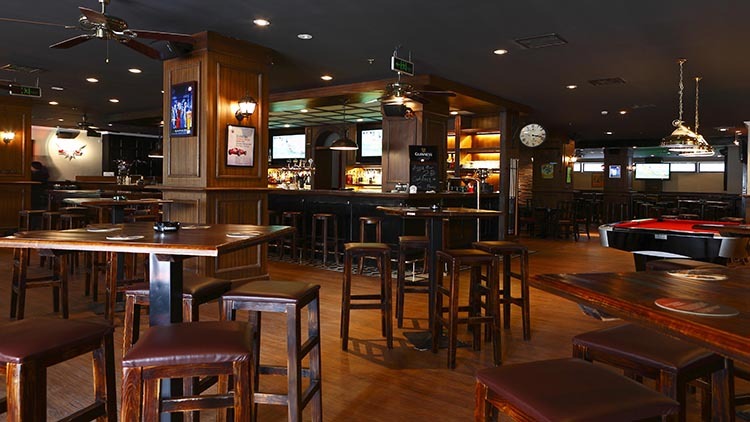 Microbrewery and sports bar Shanghai brewery’s large Hongmei Lu location has plenty of screens and pool tables. Sports aside, the main appeal here is the craft beer, with the likes of the People’s Pilsner, North Star IPA and Black Eyed Bear Stout on tap. Plus, it’s open everyday from 10am, because it’s 5 o’clock somewhere, right? 21C, 3338 Hongmei Lu, near Yanan Xi Lu. 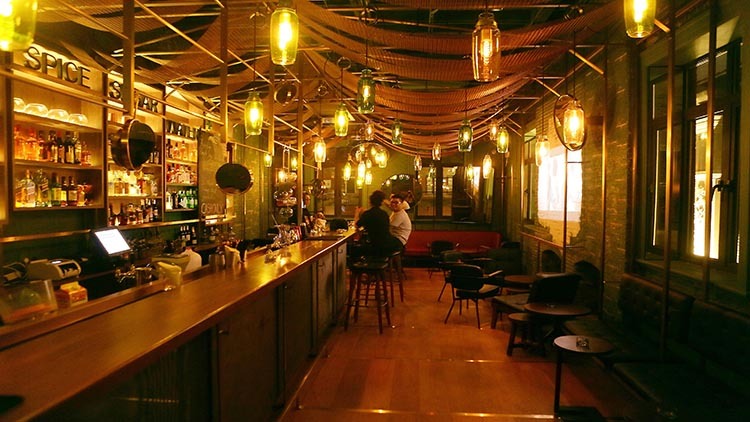 A chilled hangout by day, Dingxi Lu newcomer Smash shifts up a gear after nightfall, transforming into a lively bar with a regular line-up of local DJs. There is a dance floor on the first floor, but if it’s just a drink you’re chasing, the second floor’s sofas should do you nicely. The cocktail menu, created with a little help from Sebastian Robinson of Candor and Union Trading Company, has some creative libations – try the huangjiu-based Talking Shop (68RMB). 685 Dingxi Lu, near Niuqiao Lu. Following the mantra ‘pour big, play big’, Logan's punch rejects the stuffy vibe associated with Shanghai’s cocktail bars. It’s a place to let loose, unwind and get inebriated over the namesake sharing punch bowls (450RMB for one litre; 800RMB for two litres). Second Floor, 99 Taixing Lu, near Wujiang Lu. The majority of Shanghai’s watering holes have fairly standard opening hours, but like any good sports bar, The Camel throws those schedules out the window when there’s a big sporting match on, opening as early and staying open as long as necessary for pretty much any World Cup, NFL or Champions League matches – to name just a few. 1 Yueyang Lu, near Dongping Lu. Orden Bowling Centre is pretty much the go-to alley for anyone looking to bowl a few pins in downtown Shanghai, and for very good reason: its 16 lanes are open all hours; early noughties tunes blast through the speakers; there are cold tins of Tsingtao at (an albeit slightly pricey) 15RMB a pop; and there are pool tables and arcade games for anyone bowling too many gutter balls. Game prices range between 18RMB (1am-midday Monday-Friday) and 40RMB (6pm-2am Friday-Sunday), with weekday peak and weekend off-peak hours falling in between. Shoe rental is 5RMB. Just be warned, you might have to wait for a lane if you turn up at peak times. Third Floor, 10 Hengshan Lu. Shanghai’s not short of KTV joints, but when it comes to the best song selection and best service, Taiwanese chain K Party can’t be beat. Rooms start from 88RMB, and because you just never know when the urge to put mouth to mic is going to strike, it’s open everyday till the crack of dawn. Third Floor, SML Centre, 618 Xujiahui Lu, near Ruijin Er Lu. Set inside an old aircraft hangar, the enormous Yuz Museum has over 9,000 square metres of space to explore. 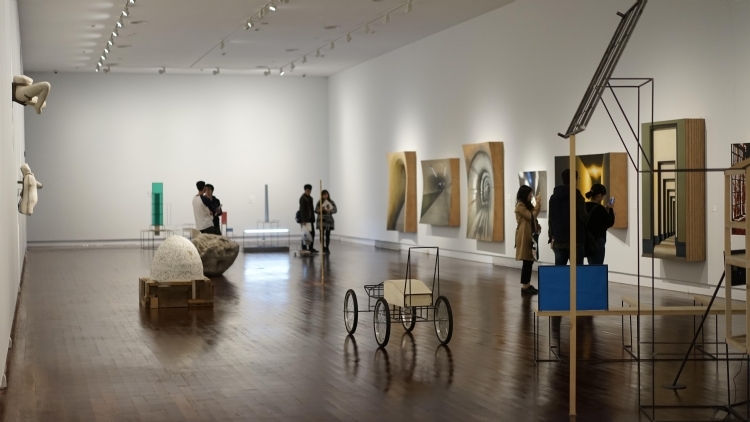 It’s arguably one of Shanghai’s most impressive art spaces, exhibiting the private contemporary art collection of founder Mr Budi Tek. Because there’s just so much to see here on Fridays and Saturdays it stays open until midnight (last admission at 11pm). 35 Fenggu Lu, near Longteng Dadao. When the big city gets a bit much, a trip to Korean spa New Star will cure what ails you. The hot and cold baths, steam rooms and saunas are perfect for unwinding – once you get over everyone being naked. You can also pay a little extra for a bath-side massage or body scrub. Spa facilities aside, there’s a sizeable dry area with TVs, food and plenty of places to just lie around in your robe. A steal at only 108RMB entry. 1900 Tianshan Lu, Yanan Xi Lu. In the small hours of Sunday morning, the Ghost Market forms on the steps of the Wenmiao Lu Confucius Temple in Old Town, with vendors offering a selection of secondhand books for a few kuai each. There’s a good selection of magazines (some more family-friendly than others), children’s books, those infamous Little Red Books, and even a few English language paperbacks. Although it used to start at the crack of dawn, things are only really getting going by 6am these days – though the most dedicated vendors still arrive from 4am. 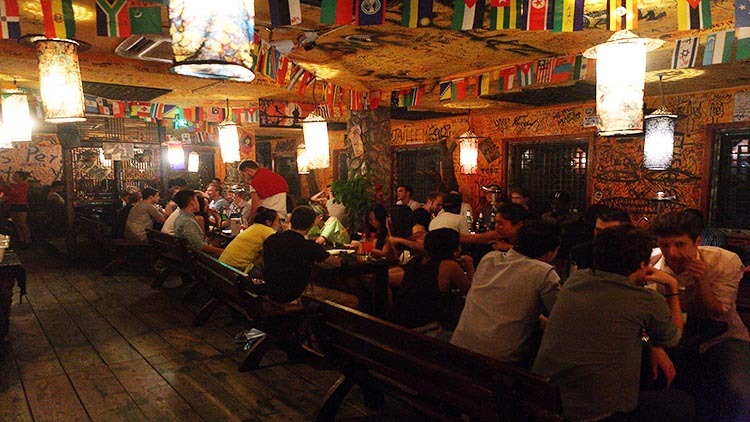 Besides a fully stocked bar with a decent selection of draft and bottled beers, spirits and cocktails, and a load of screens showing the sport of the day, there’s plenty to keep you entertained at Cages Bar and Sports. 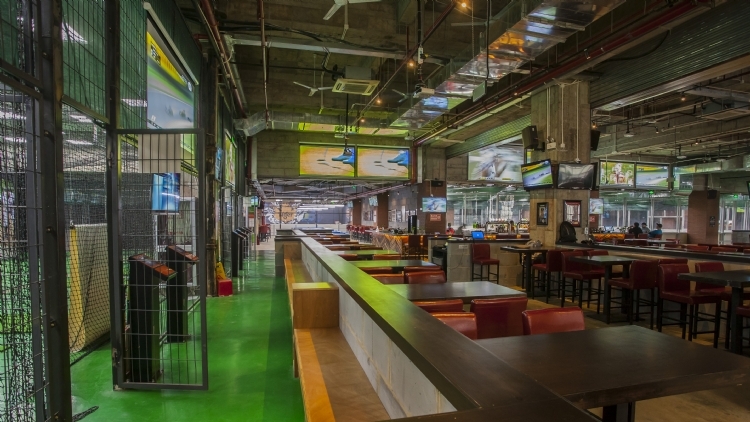 Housed in Jing’an Sports Centre, Cages pairs boozing with batting and has four cages to choose from – a slow-pitch softball for beginners and baseball at 50-70km per hour speeds. Plus there are a load of pool tables, dartboards, a squash court, a corn hole area, a bubble football arena and more. 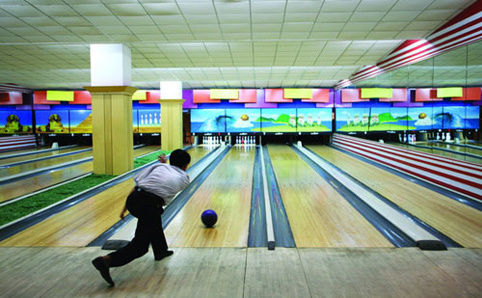 Get half-price batting from 9am-5pm and 15RMB off alcoholic drinks from 5-8pm every weekday. Third Floor, Jing’an Sports Centre, 428 Jiangning Lu. 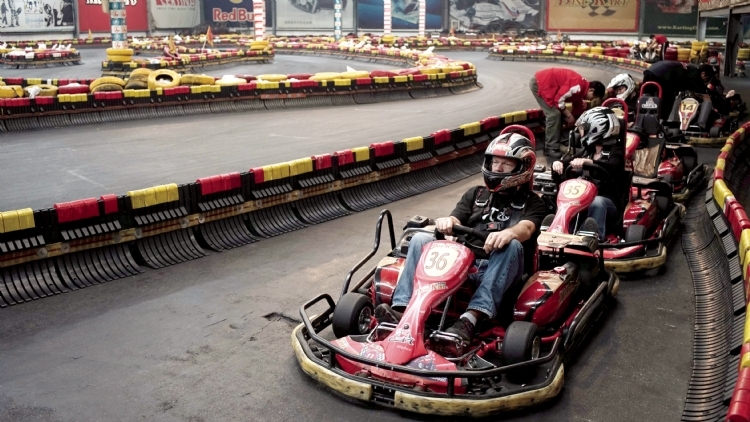 Undoubtedly the most fun karting centre in town, Disc Kart’s 550m indoor racetrack is full of twists, turns and plenty of opportunities for overtaking. It’s 100RMB in a slower car or 120RMB in a faster car for eight minutes of track time. 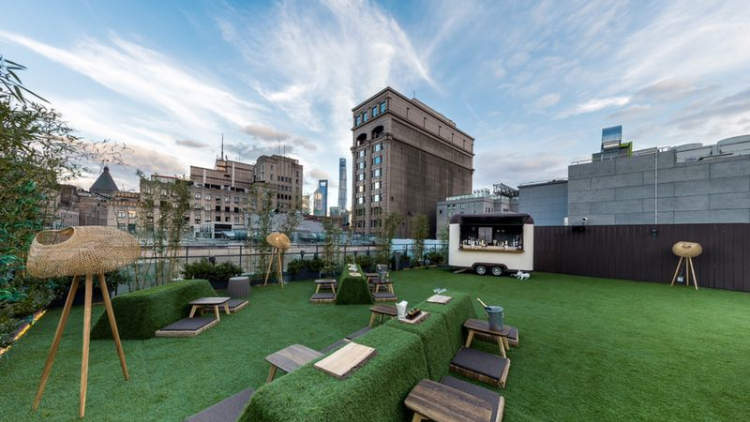 Disc Kart’s bar area offers circular banquettes overlooking the track and cheap beer – drink driving not endorsed. 809 Zaoyang Lu, inside Changfeng Park, near Guangfu Lu. Don’t be fooled by the size of Laura’s Shop, this unassuming international grocery store packs plenty of goodies into its small space. Offerings might vary depending on the day, but Laura’s generally seems to carry a nice amount of fresh produce (bread, cheese, fruit, veg and cold cuts), tinned goods, baking ingredients, pet food, bathroom essentials, all kinds of late-night munchies – including Ben & Jerry’s ice cream – and plenty of reasonably priced wine, beers and spirits. 66 Wulumuqi Zhong Lu, near Changle Lu. Only got 24 hours in Shanghai?